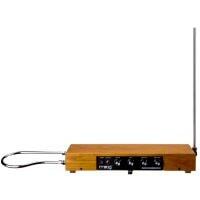 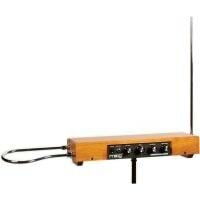 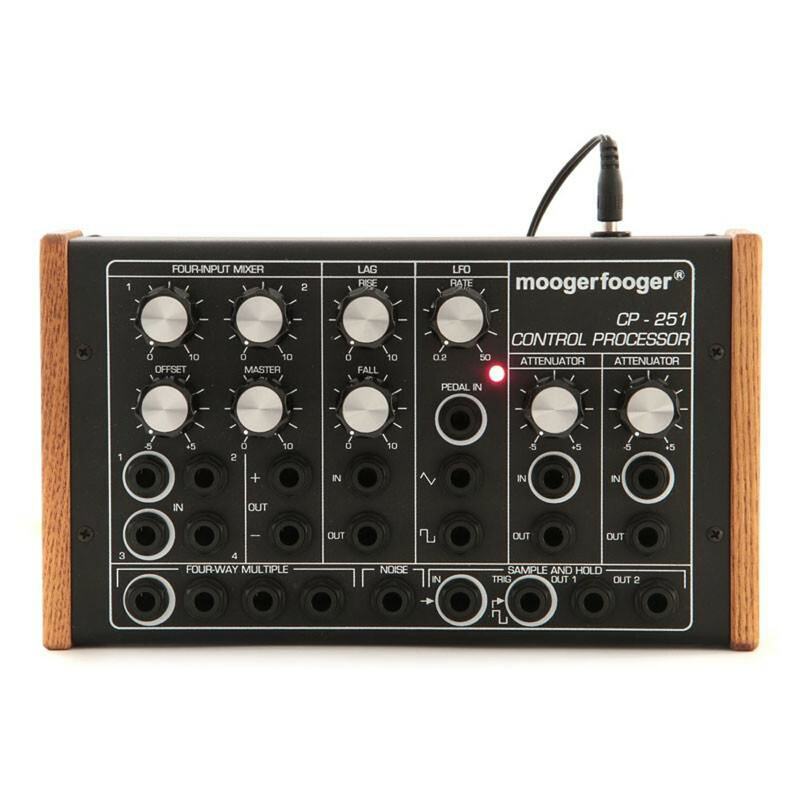 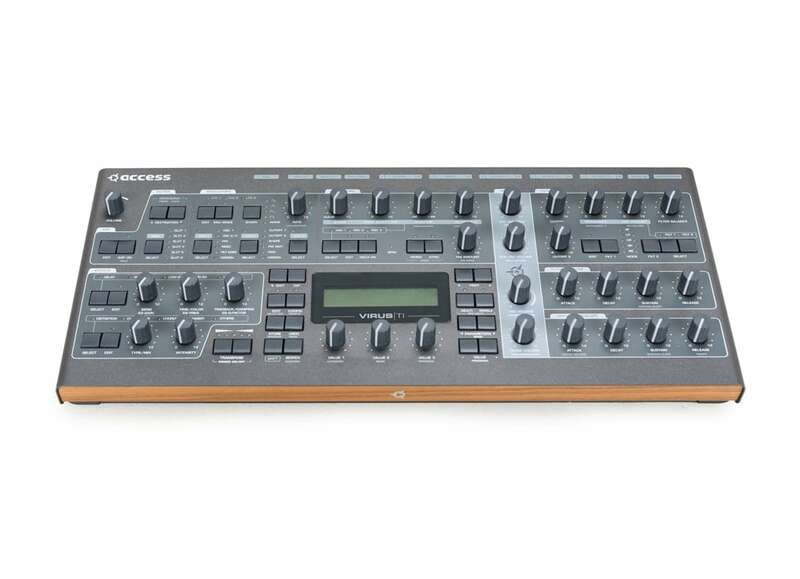 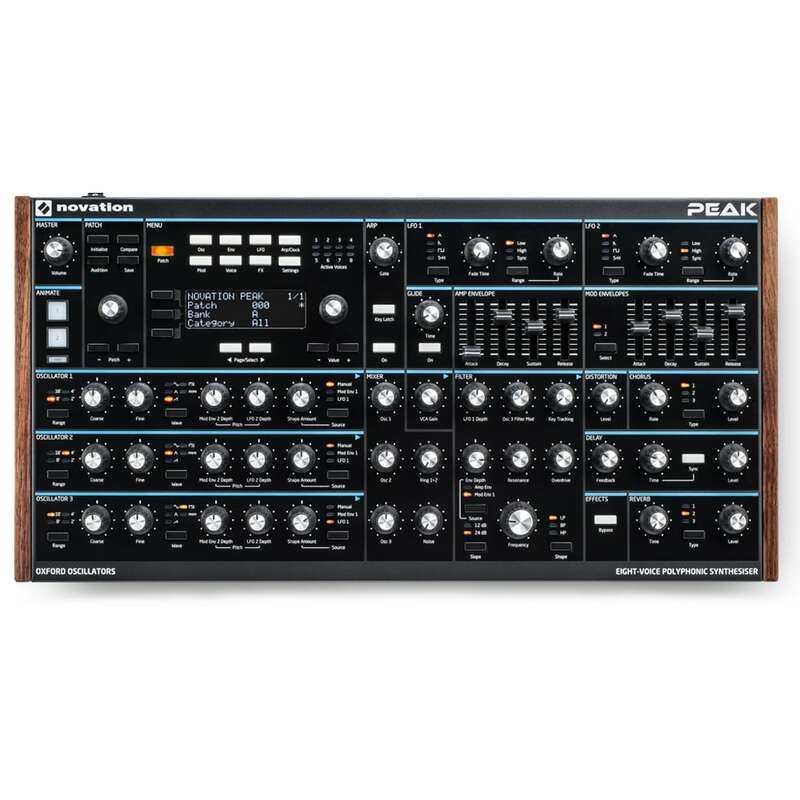 The Moog Etherwave Standard is a quality musical instrument designed for ruggedness and portability. 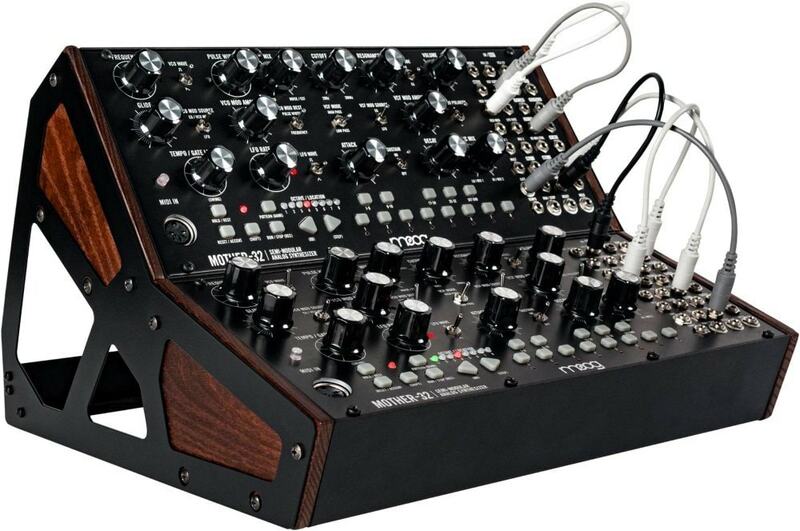 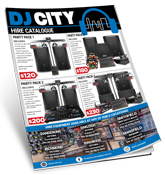 It has a five-octave pitch range and reliable spacing between notes for sophisticated playability. 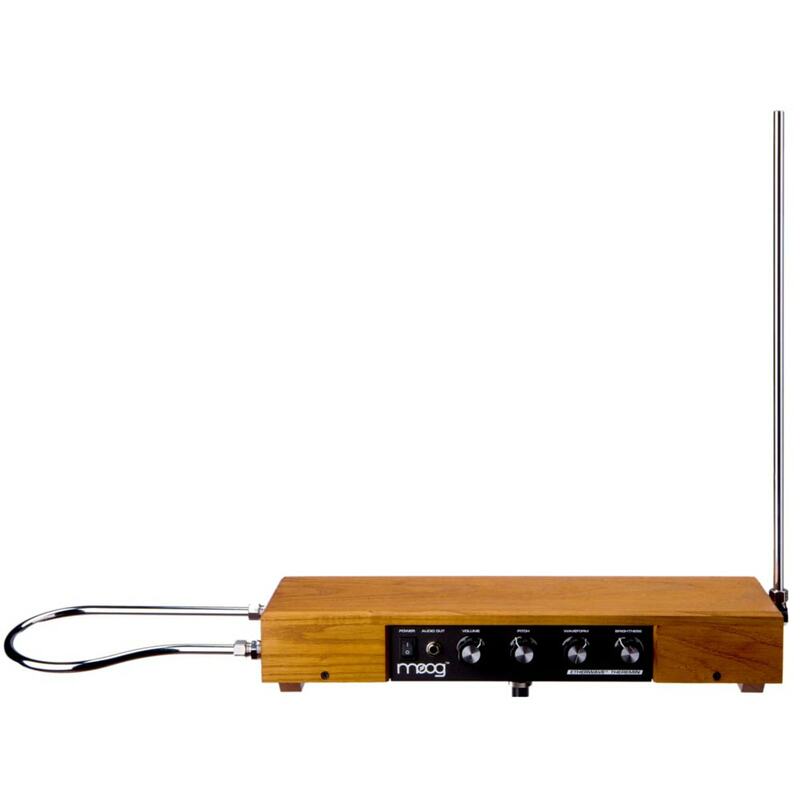 Antennas are nickel-plated 3/8″ brass tube and cabinets are furniture-grade hardwood, finished with a custom Moog stain. 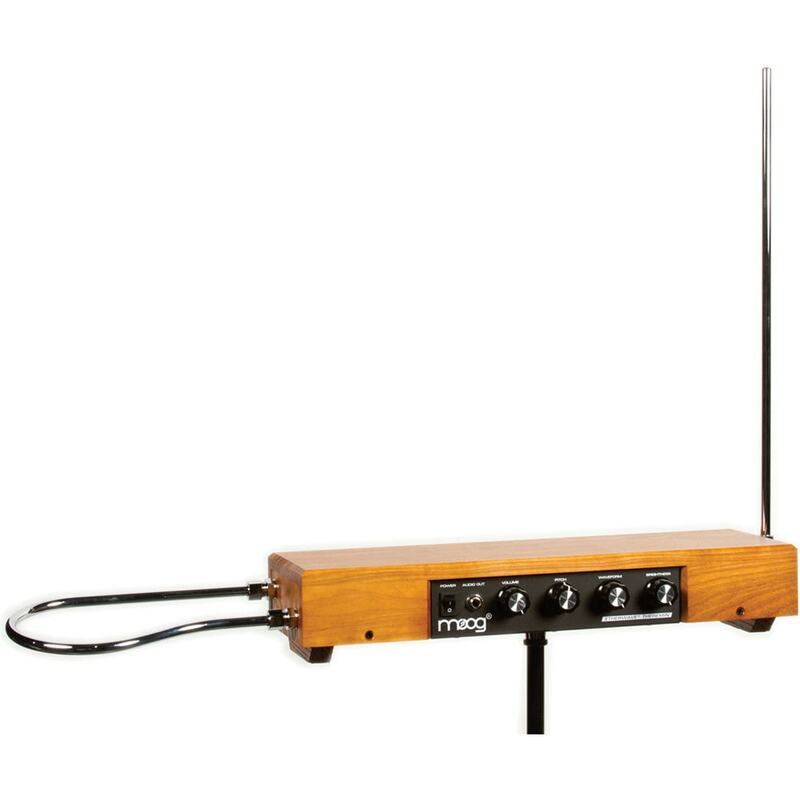 The Etherwave is fitted with an adapter for mounting on a standard microphone stand and works best with Moog’s TB-15 instrument amplifier.